You are currently browsing the tag archive for the ‘millenials’ tag. 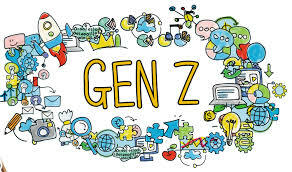 Generation Z – There Is Hope! 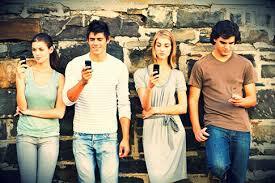 Generation Y is the generation of those born between 1981 and 1995. They are also known as Millenials. They have been slandered as selfish, egoistic, live-for-the-present, and worse. Today they are between 23 and 37. • Only 30% approved of Trump’s performance. This is well below the average (Trump is deeply underwater in his approval ratings). • 70% said they wanted government to do more to solve the nation’s problems. [Levin says, those attitudes mirror those of Gen Y, which may mean that these two younger generations can powerfully combine to change the current bleak reality in the US]. • There are more than 68 million Americans who belong to GenZ. This is 22% of the American population. So more than one American in every five is GenZ. This makes this group politically decisive, in the long run. • 2/3 of GenZ believe blacks are treated less fairly than whites in the US. • GenZ believe government should play a more active role. This is not good news for Republicans; GenZ is more progressive than older generations. But it is good news for those who seek a less conservative America. The press are moaning about Britain’s “hung” parliament, because Teresa May did not get a majority, leaving Brexit negotiations with the EU in limbo. I see a different, much bigger problem. This, I believe, is the first election in which a generational war between the millennials and their parents has broken out. According to Bloomberg, the Boomers voted for the Conservatives, and before that, for Brexit. The millennials, first, registered to vote in very very large numbers (which they did NOT do for the Brexit referendum), and then, voted massively in support of 68 year old Jeremy Corbyn. Their support for Corbyn was exuberant and high-energy. Many of the young people voted for the first time. Why is this a big problem? In normal times, the older generation, which has wealth and power, acts to create a better world for the younger generation. So both generations have a common interest. Today? In many countries, young people no longer believe at all that this is the case. Civilized society is based on trust, on faith, on values, and on an orderly transition in which power and wealth are handed from one generation to another. In societies where this is not the case — young people may leave (in droves), or create social unrest and hung parliaments, as in Britain. Brexit is a problem. But finding common ground between old and young is a far more pressing problem, and a far tougher one. Brexit means bargaining with the EU, an external force. Millenial wars mean finding internal agreement between young and old – and that is far harder. I wish Britain well. Other countries may soon experience similar Millenial wars. France, in contrast, may have cracked the problem by electing a 39-year-old inexpericnced President. So far it seems to be working.